As with any hobby, participating in youth athletics comes with a number of expenses. Whether you need to pay for uniforms, equipment, a bus, or something else, it helps to have some cash coming into your team’s treasury. Fortunately, there are many great fundraising activities and events that can generate money for your school or club. 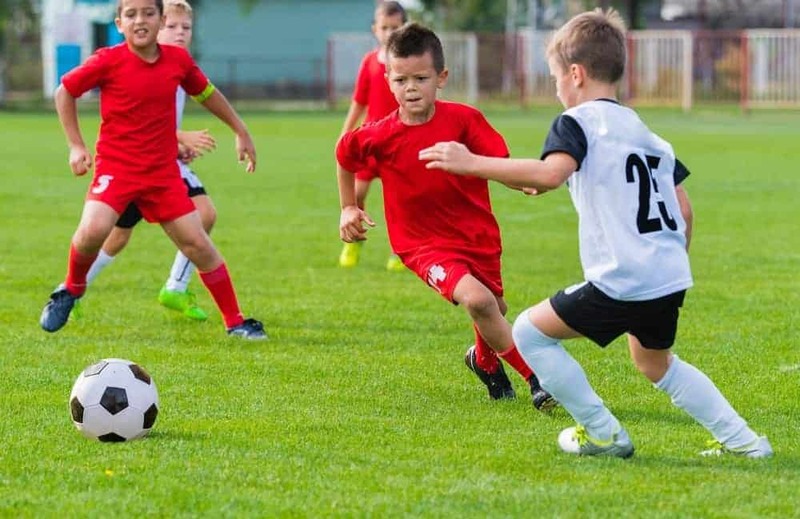 Rocky Top Sports World has put together a guide to four of our favorite fundraising ideas for youth sports teams. Planning a restaurant night is a wonderful way to make some money with relatively little work. First, you will need to find a local restaurant that is willing to share a percentage of their profits with your team in exchange for you hosting a special event with them. Try to partner with a restaurant that will give your school or club 10 – 20% of their sales for the evening. Next, set a date for your team’s restaurant night and get the word out to all of your friends, family members, and fans. If you can bring a lot of people to the restaurant, it’s a win-win for your team and the eatery. Organizing an auction is another one of the most popular fundraising ideas for youth sports teams. To start off, you will need to get in touch with local businesses and ask them to donate items that can be auctioned off at your event. These can be everything from a round of golf at a country club to a gift basket from a bakery. Once you have all of your donated items, you will need to find an event venue, hire an auctioneer (or enlist the help of a parent), and provide food and drinks for your guests. As you can see, auctions can require considerable time and upfront money to orchestrate. When an auction is executed correctly, however, it can be a major boon to your team’s bank account. A car wash is a classic fundraising activity that only requires a few basic supplies. Pick a Saturday morning or Sunday afternoon with beautiful weather and set up shop at a popular area in town, with soap, buckets, sponges, and towels at the ready. For a fresh twist on this tried-and-true fundraiser, encourage folks to bring their dogs who are in need of a nice bath. If your fans are clamoring for some official merchandise, it’s time to give the people what they want! There are many companies online who will print T-shirts, hats, phone cases, water bottles, or other items with your team’s logo. Once you have your own branded products, you can sell them at your games or at other community events. Located in Gatlinburg, TN, Rocky Top Sports World is the ultimate tournament destination. With seven fields, six basketball courts, 12 volleyball courts, team rooms, and an onsite grill, our complex has everything you need for an awesome sports event. To see a complete listing of our upcoming tournaments and camps, check out the Rocky Top Sports World Events Calendar. This entry was posted in Trends in Youth Sports on July 18, 2017 by rockytopsports.